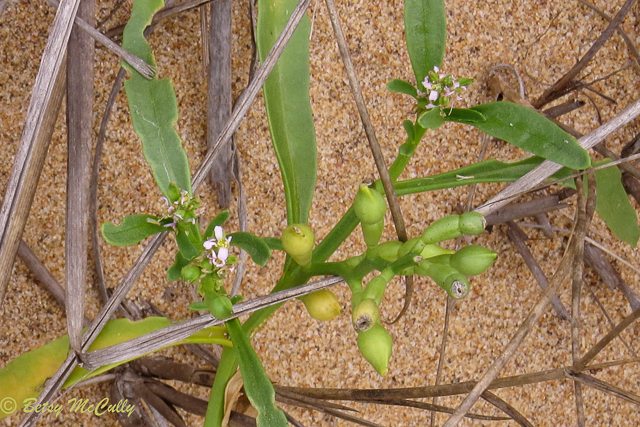 Sea-rocket (Cakile edentula). Brassicaceae family. Sandy beaches above wrack line. Throughout. Napeague, Long Island, 2017.